Hydressence - Just Beauty Products, Inc.
Reconstructs and Hydrates chemically challenged hair types. Hydressence There are 8 products. Difiaba Hydressence Concentrate 10 Vials (Rinse-Out). Maximize Hydratation of chemically challenged or overstressed hair. Difiaba Hydressence Conditioner 1000 ml. Difiaba Hydressence Conditioner 1000 ml. Replenishes Hydratation level to overly stressed hair types. 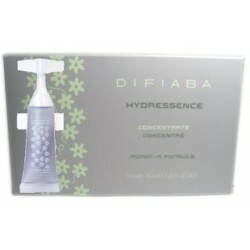 Difiaba Hydressence Conditioner 250 ml. 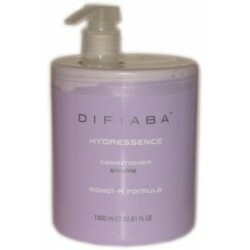 Difiaba Hydressence Conditioner 250 ml. Replenishes Hydratation level to overly stressed hair types. Difiaba Hydressence Mask 1000 ml. Difiaba Hydressence Mask 1000 ml. Reconstructs and Hydrates chemically challenged hair types. Difiaba Hydressence Mask 250 ml. Difiaba Hydressence Mask 250 ml. Reconstructs and Hydrates chemically challenged hair types. Difiaba Hydressence Leave-In Moisturizer Spray 150 ml. Difiaba Hydressence Leave-In Moisturizer Spray 150 ml. Moisturizes and Amplifies volume of chemically challenged of overstressed hair. Difiaba Hydressence Shampoo 1000 ml. Difiaba Hydressence Shampoo 1000 ml. Hidrates and Cleanses overly stressed hair types. Difiaba Hydressence Shampoo 300 ml. Difiaba Hydressence Shampoo 300 ml. Hidrates and Cleanses overly stressed hair types.